Parys Mountain Windmill - on the Isle of Anglesey (Ynys Môn) in North Wales. 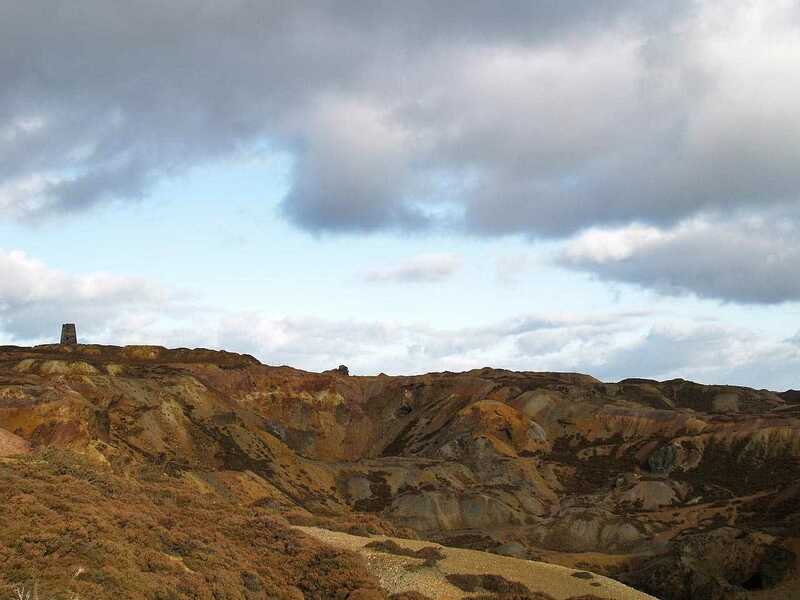 Anglesey, Amlwch, Parys Mountain Windmill at the highest point of the mountain in 2009. 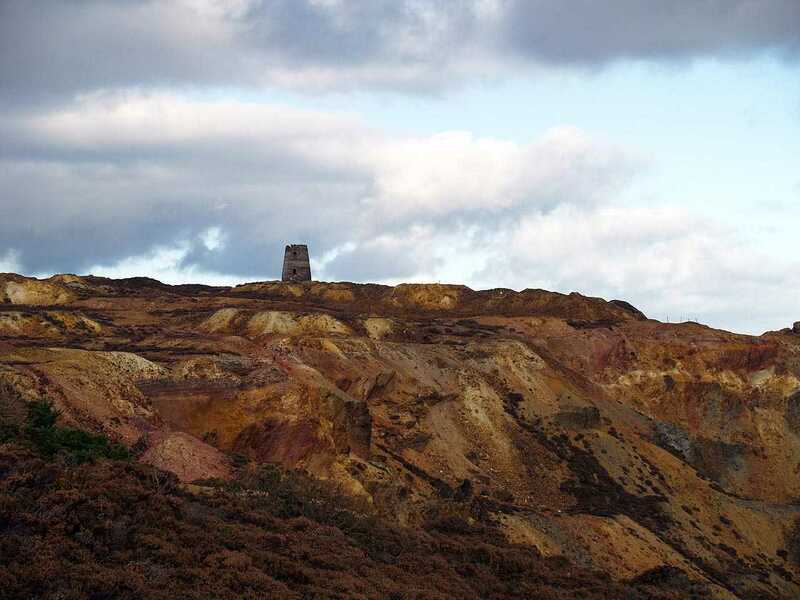 The windmill on Parys Mountain began work in 1878 to assist the steam engine in pumping the Cairns. The windmill - becuse it had five sails - was unique on Anglesey. 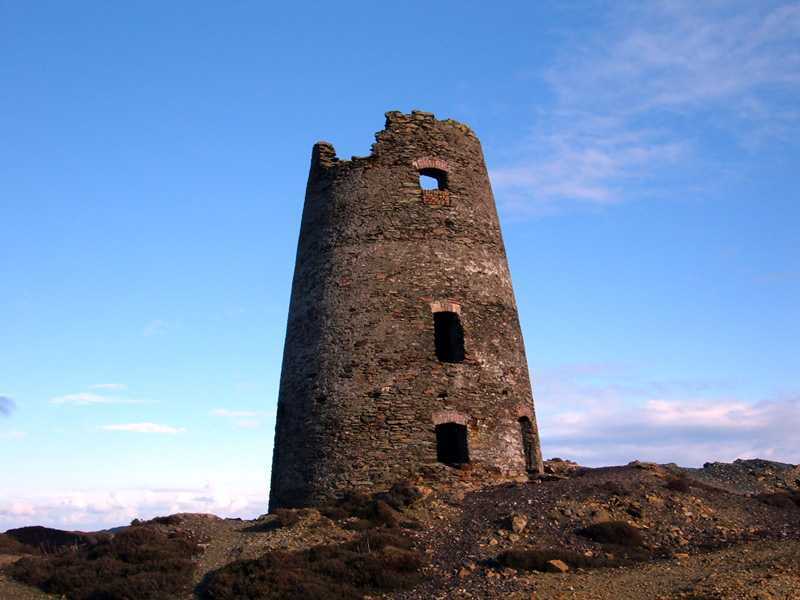 This Mining Pump Windmill is thought to be the only surviving one in the United Kingdom. The other unique thing about the windmill is the remarkable location - as it certainly is - amongst the bright multi coloured waste - the result of many years of copper mining. 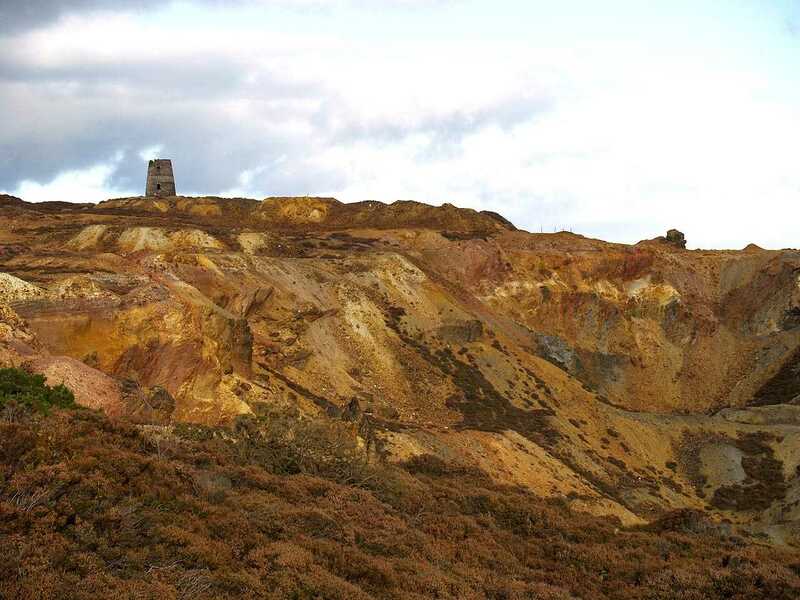 Anglesey, Amlwch, Parys Mountain Windmill surrounded by the multi coloured copper mining waste.